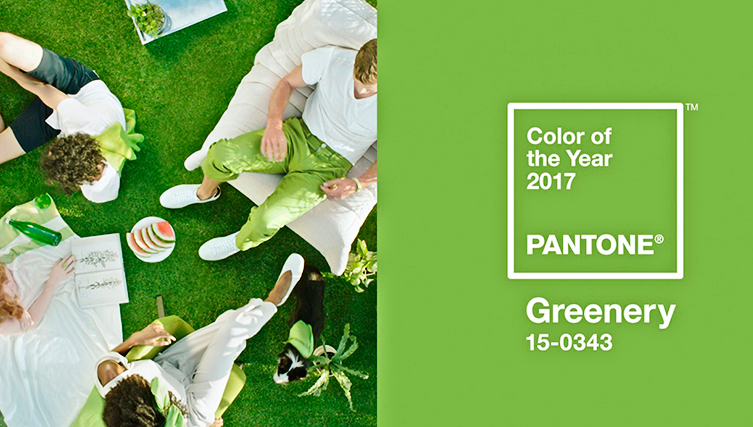 The Pantone® 2017 Color of the Year is the world’s brightest neutral, Greenery. Traditionally, the Pantone® color is selected in response to the current culture and climate of the world around us. The color then goes on to influence significant fashion and design trends for the rest of the year. 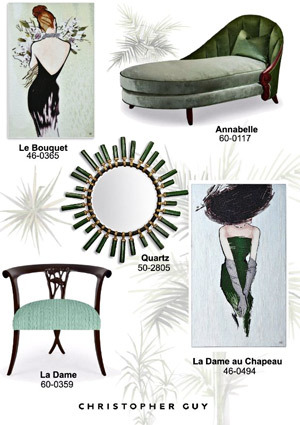 This year’s Color of the Year is Greenery. Not just any old green, of course: Pantone® 15-0343, colloquially known as Greenery, which is to say a yellow-green shade that evokes the first days of spring. Greenery (Pantone® 15-0343) is a symbol of new beginnings. Much like the first green of spring after a harsh winter, natural life on Earth begins anew. It’s a chance to go green, embrace organic and healthier food trends, and, hopefully, return more to nature. Of course, it would be amiss to say that the increase country’s recent political and social divide didn’t play a factor in the concept of the color. “Nature is free, and the color isn’t meant to be partisan,” Pressman said. As much as the color is an escape from technology and the connected world, it’s an escape from the tense partisan world. Greenery is an opportunity to be in a space the isn’t influenced by political ideas or agendas. Christopher Guy Selection applying 2017’s color of the year Pantone Greenery. Greenery’s neutral shade allows itself to mix with a medley of color combinations and palettes. It bodes well with neutrals, bright colors, deeper shades, pastels, and metallic. Pantone® took out the guesswork for consumers and provided 10 different palettes to go along with Greenery. Noel Furniture, located in Houston, TX, has a staff of experienced interior designers available to help integrate any interior design need for your home. Ideas may also be viewed in Noel’s website gallery.